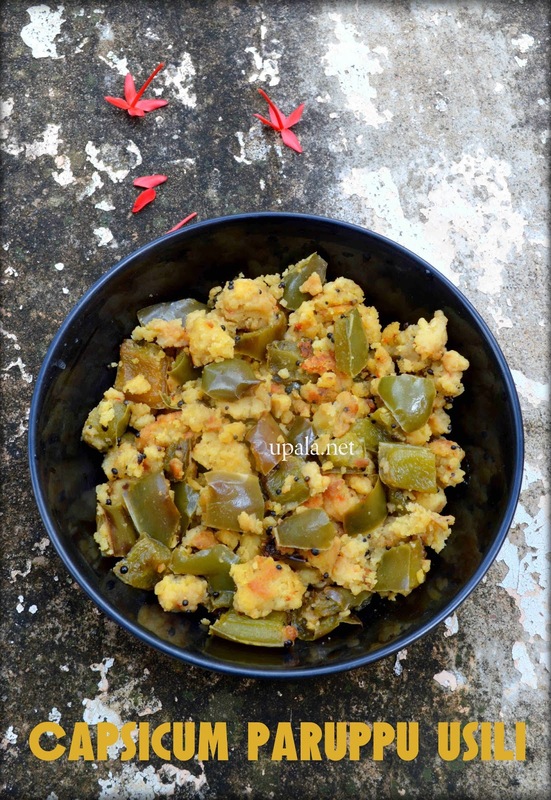 Capsicum Paruppu usili is a yummy poriyal prepared with Capsicum and cooked dals. Normally paruppu usili is prepared with beans, avarakkai, kothavarangai but this one is little different and tastes great. 1) Heat 2 tbsp oil in a kadai and add Mustard seeds to crackle. 2) Next add Capsicum and fry till they get cooked. Add Salt and mix well. 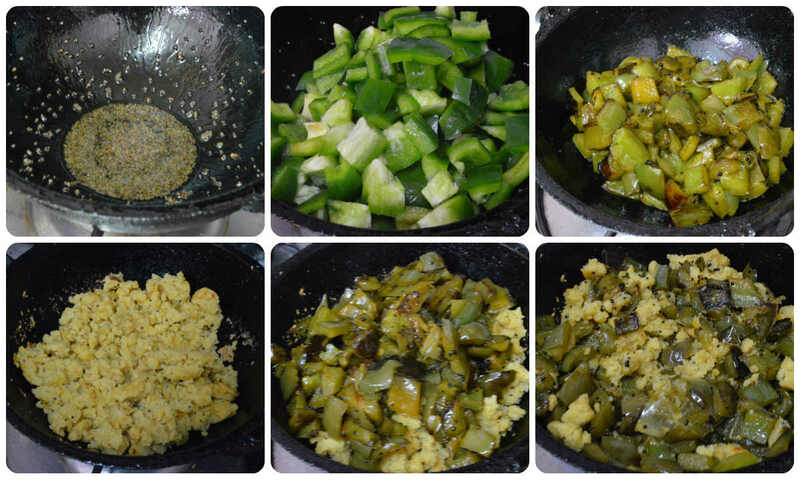 3) Transfer the cooked Capsicum to a plate and add 1 tsp of Oil to the same kadai. 4) Now add crumbled paruppu usili and fry for few secs. 5) Add the cooked capsicum to paruppu usili and mix well. Leave it to get cooked few more minutes and switch off the flame.